Processes in most flight facilities are antiquated. Work flows like reading files, AFTP logs, flight scheduling, aircraft status reporting and equipment statues are processes developed from 20 or more years ago. Much of the data created with these processes are lost over time. With work more efficient, cost savings are facilitated by the Aviation Status design. When the aviation status portal is up and running, one for the first things usually noticed is a better understanding of core functions within the organization. Elements like budget utilization, committed dollars, aircraft maintenance status and open work orders are immediately noticeable. Leadership now has the knowledge of resource allocations and utilization. 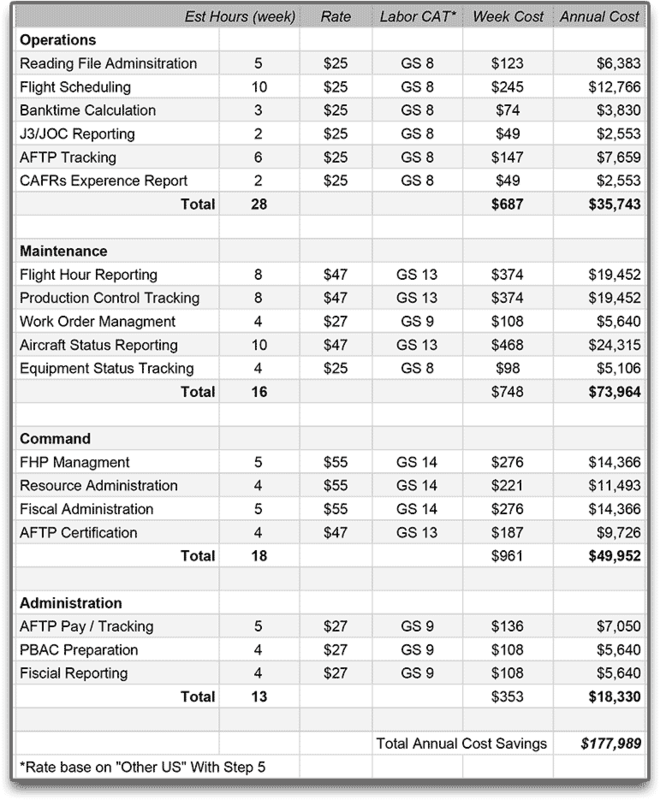 the aviation status dashboard can save hundreds of thousands of dollars with these efficiencies. The Aviation Status application focuses on the newest guidance from Joint Reconciliation Process on accounting for committed dollars. Elements like AFTP usage, cost of aircraft hours, FHP management and estimation of future flight hour costs can be enhanced. With the application, tracking the cost of committed dollars will be more in-line with fiscal audit readiness. 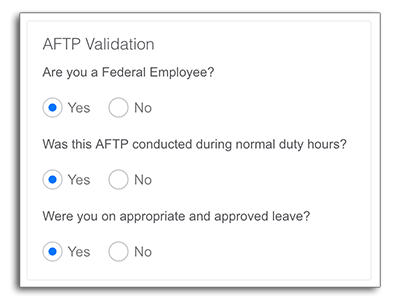 A great example of how the Aviation Status application can help your organization is in the administration of Additional Flight Training Periods (AFTPs). Even the best managed or administered AFTP program can have mistakes. Especially if the data documented for the execution of individual AFTPs is written. The Aviation Status application endeavors to capture data and reduce complexity in the processing of committed AFTPs. The program designed to produce audit trails as well as validation to eliminate elements like inadvertent dual compensation and possible fraud.